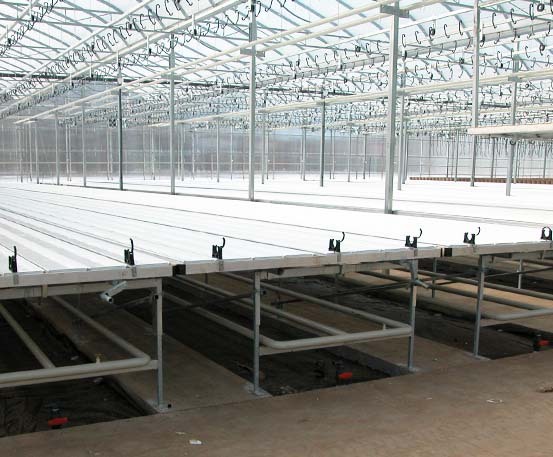 Under bench Heating Systems maintain uniform temperatures and positively affect the microclimate of plants. 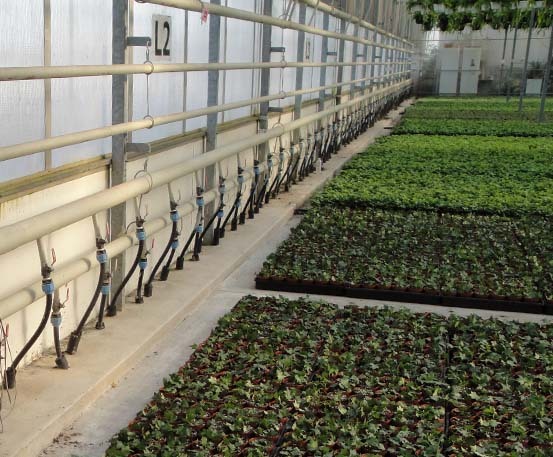 Air movement caused by the warmer under bench pipe reduces the humidity around the plant. 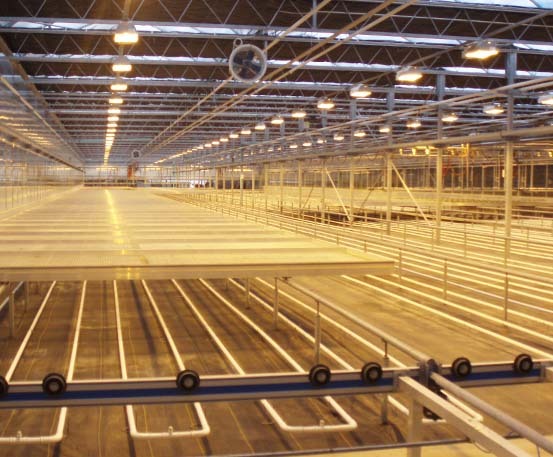 Such systems are suitable for plants grown on benches, fixed tables, rolling, or transportable tables. 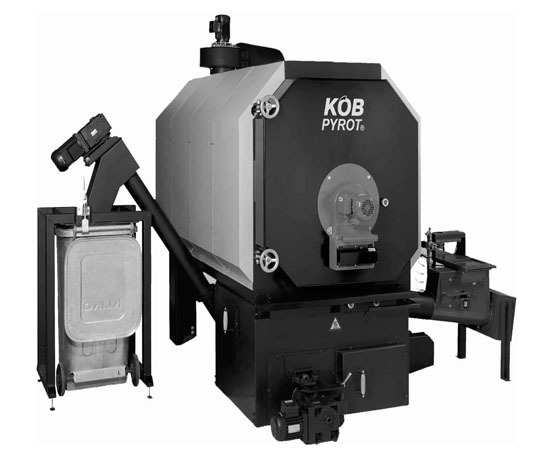 An under bench heating system can reduce fuel costs 10 percent or more. Air temperature in the greenhouse can be 5 to 10 degrees lower than the growing medium temperature and still achieve excellent growth. 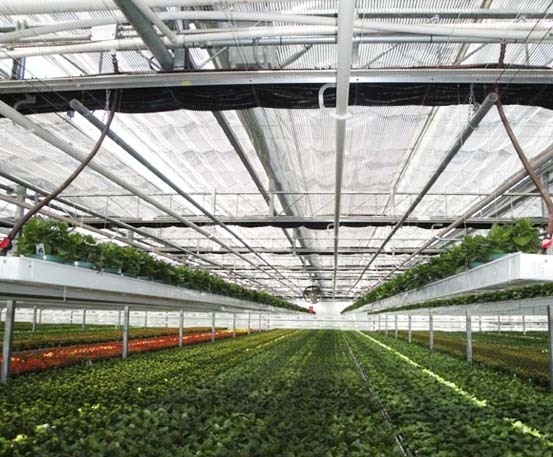 This lower air temperature means that the heat loss between the inside of the greenhouse and outside will be less. Uniform temperature in the root zone is difficult to achieve with unit heaters that circulate heat over the top of the crop or a boiler that pumps water through fin radiation along the sidewalls. Distributing the heat under the benches warms the growing medium first before it rises to heat the air. 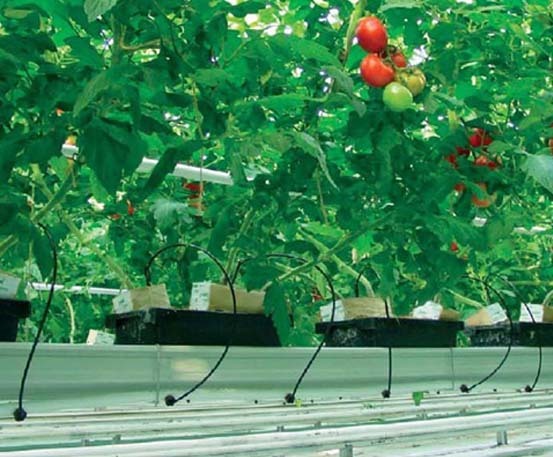 For most crops, the medium temperature is more critical to good growth than the air temperature. Depending on the width of the benches or containers, Niagrow designs under bench systems accordingly using loops of steel pipe or forcas tubing if preferred. The heating pipe can either be supported on the ground by rose-pin style supports, or hanging from the bench itself.